The Brazilian ruling party's presidential candidate Dilma Rousseff, whose family came from Bulgaria, is expected to outrank Angela Merkel, Germany's Chancellor, and Hillary Clinton, the US Secretary of State, should she win the elections on October 3. "As head of state, president Dilma Rousseff would outrank Angela Merkel, Germany's Chancellor, and Hillary Clinton, the US Secretary of State: her enormous country of 200 million people is revelling in its new oil wealth. Brazil's growth rate, rivalling China's, is one that Europe and Washington can only envy," the Independent commented on Monday. According to the article her widely predicted victory in next Sunday's presidential poll will be greeted with delight by millions. "It marks the final demolition of the "national security state", an arrangement that conservative governments in the US and Europe once regarded as their best artifice for limiting democracy and reform. It maintained a rotten status quo that kept a vast majority in poverty in Latin America while favouring their rich friends." The candidate of the ruling Brazilian Workers Party is expected to win the majority of votes she needs in the elections on October 3 and avoid a run-off vote. In Bulgaria dailies, magazines, broadcasting and television stations are closely following the Brazilian presidential electoral campaign and many journalist are ready to cover the event in situ next October 3 when the Bulgarian descendent could be chosen to rule over the world's seventh largest economy. 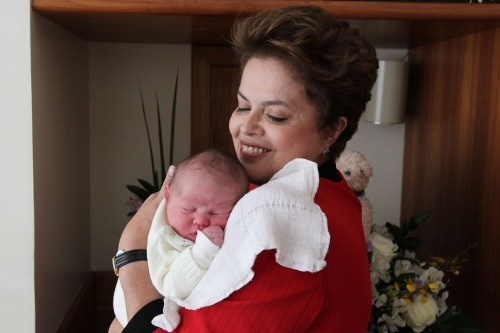 The country is said to have been trapped by a "Dilma fever" given the almost certain victory of the Brazilian ruling party's presidential candidate Dilma Rousseff whose family came from Bulgaria.